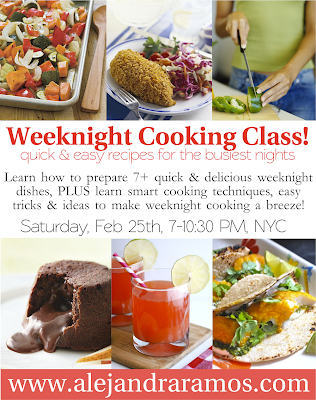 I'm very excited about my next NYC group cooking class! It's called "Busy Weeknight Dinners" and I'm going to be teaching you an array of incredible and easy weeknight dinners--all totally from scratch using delicious, fresh, seasonal, good-for-you ingredients. You won't just be learning recipes, but also techniques and ideas to help make your evenings easier--on even the busiest of days! You'll learn ways to get good and wholesome dinners on the table without much fuss and without having to rely on processed or overpriced "convenience" foods. The cooking class will be focused on 7 basic recipes, along with several easy variations for each so you'll actually be going home with a few weeks worth of ideas. 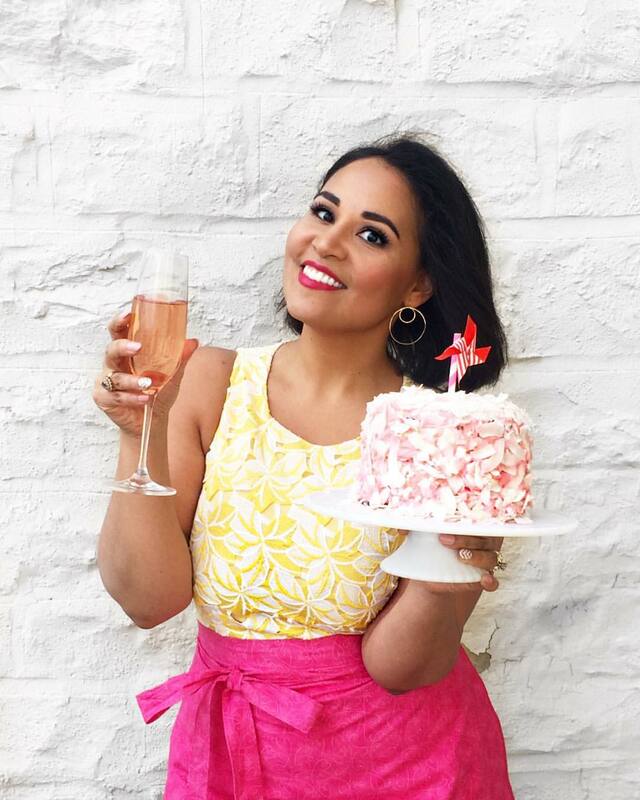 Like all of my dinner party cooking classes, it's taught in a relaxed and easy manner so you'll get to sip some wine (or maybe a cocktail), listen to music, and mingle with your fellow classmates. Once the food is ready, we'll all sit down to enjoy the meal together. The menu includes dishes like Baja fish tacos, some out-of-this-world variations for chicken breasts, herbed quinoa, kale & cranberry salad, DIY salad dressings, and even molten chocolate lava cakes!! The class is held in Manhattan at our gorgeous professional kitchen space, and is open to ALL cooking levels--from total beginners who do little more than scramble eggs, to accomplished cooks. This is a great cooking class for couples who want to learn to make easy recipes together, or even for those of you who want to bring along an older teen. Whether you're looking to learn or just want to have a fun night out and meet some cool people, I guarantee you'll have a fabulous time! Class size is limited to 12 people and 6 seats have already been snagged since the class was announced so if you're interested, don't delay! Have a group of 3 or more that want to join in the fun? Message me directly and I'll whip up a special multi-seat discount for you!